When one of our contacts at Thunderhead.com took a new leadership role at user analytics innovator, KNOA Software, she turned to us to complement her newly formed team. 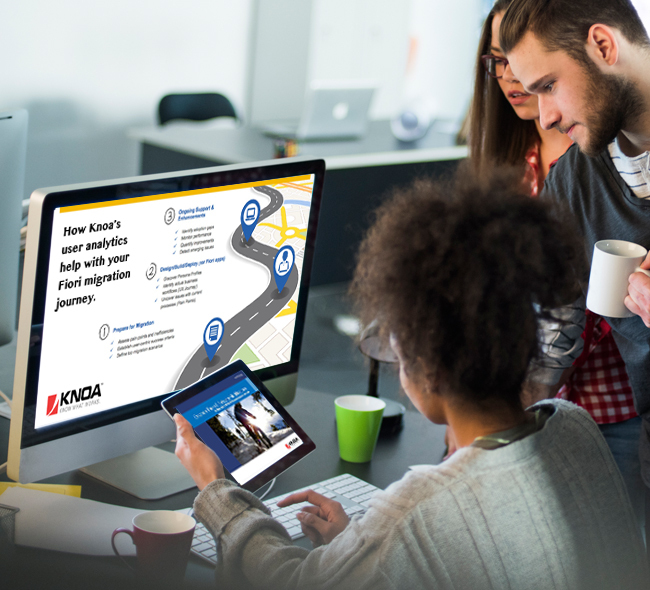 We solidified KNOA’s brand positioning and showcased their unique value for businesses with large-scale SAP enterprise systems. Sound positioning woven into sales presentations, trade show materials, and infographics was so effective that SAP began using our materials to sell internally to their own customers. We are also pretty proud of the tagline we developed:, “KNOA: Know what works.” It captures the essence of KNOA’s value proposition and, best of all, the client loved it.